Dubai, UAE, November 05, 2018: Nothing marks the arrival of the festive season like Starbucks' red cups and the global coffee brand is delighted to announce that this year's seasonal sips will go on sale on Monday, 05 November. For a limited time only, customers can indulge in espresso-based delights including Toffee Nut Latte and Toffee Nut Frappuccino. The rich buttery flavour of sweet toffee is combined with the warmth of toasted nuts and blended with Starbucks' smooth espresso and velvety steamed milk to make the Toffee Nut Latte. 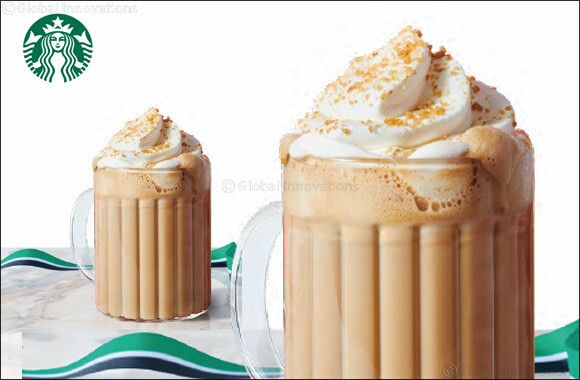 For the final touch, it is then topped with whipped cream and toffee nut sprinkle for a beverage that's sure to stir up those festive feelings! The Holiday menu will also feature the Ginger Bread Latte, a sweet and spicy flavour combination, and the Signature Hot Chocolate, which will satisfy any chocoholics' cravings along with other delicious delights including an eye-catching and delicious Red Velvet Cake. Next Story : Double Decker Delights It's Time to Hop on for Brunch!